Make sure that you cross the 5 fundamental milestones before you start planning. Raising a kid is not a child’s play. It requires an adequate amount of time, dedication, sincerity and not to forget finance. Therefore it is always important to ensure sufficient financial arrangements are made to counter emergencies and other sudden expenses. 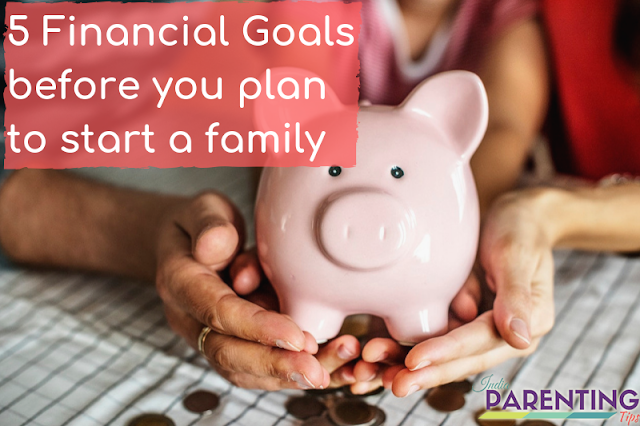 Once you are financially secured and prepared enough to raise a child, all other arrangements would eventually fall in place. 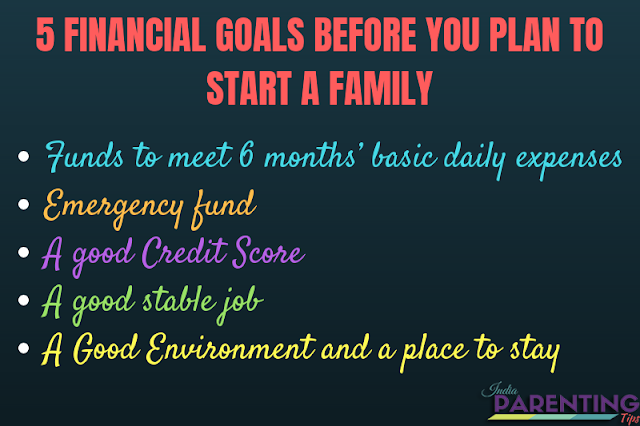 Before you plan to welcome a new member in your family ensure that you have at least 6 months of basic expenses saved in your bank account. This is because when you have a newborn baby in your house there could be innumerable needs and necessities that you could never think of. The last thing that you would like to think then is about basic necessities and funds. Ensure that you secure that first. Calculate your total monthly expense for basic needs like food, house mortgage or loans, car loans or insurance and so on. Multiply the whole expense into 6 for six months back up. That’s your target money to save. Start saving monthly 50$ at least. Children come with shocking surprises. Ensure that you keep your emergency fund ready to meet unexpected situations. For this reason, you need to make sure that you set aside at least 50$ monthly under emergency fund and start saving money. Although a credit card is not a solution to financial needs and distress, it is often the last resort during urgent financial problems. Please ensure that you have a good credit rating in the credit bureau. Anything higher than 750 scores is okay. Try to get a score of 1000 plus to be on the safer side. A stable family demands a stable income. It could be your stable job or your own business. Ensure that you have a stable resource of monthly income flow in the family. Do not depend on your spouse or your partner as he or she might also have his or her emergency situations. Before you plan to have kids make sure that you live in a locality which is child-friendly. It should have all the basic needs available at a reachable distance like hospitals, clinic, departmental stores, medical stores, park or children play area, day care centers, and schools. Children often get influenced easily and they learn from others. They easily pick up habits from the people they meet. It could be anyone apart from family. Example of friends, teachers, caregivers and so on. Therefore it is important that you ensure to plan for a good environment for your child to live. In order to stay in a locality with all the basic needs addressed you need to have sufficient funds to ensure a proper place to stay for your family to live peacefully without any problems. Hence arranging a proper environment, a place to stay is very important for which finance is a big factor. Once you have the necessary funds to can easily move into a particular locality of your choice to welcome the little bundle of joy to your family. When you have a goal and a target to achieve, it means you are successful in planning. Otherwise, it is nothing but a wish. Growing a family is a beautiful thing that requires a good awesome steady financial planning to ensure stability, security, reliance, comfort, and peace for the family and the child to be born. Having said that let me tell you that there are many things that do not happen only by planning. Sometimes it is in God’s hand. What we need to do is to do our part the best possible way and leave the rest for the Master Planner.